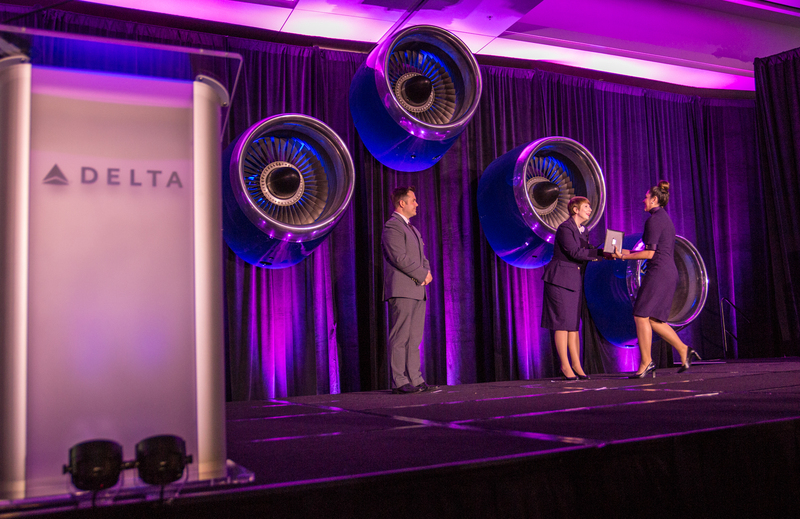 Cheers, gasps and thunderous applause greeted the May 25, 2018 graduating class of Delta's newest flight attendants as they strutted the stage today at the Marriott Gateway Hotel in Atlanta. Although each Delta flight attendant graduation ceremony is a treasured experience, this was no ordinary event. Members of J Class are the first graduates to wear the new uniforms as brand-new, fully qualified Delta flight attendants. "I can't wait to walk on the stage and see everyone's faces because they're not expecting it," said graduate Kenyah Wolfe moments before the big reveal for family and friends. After spending eight weeks in training at Delta's headquarters, graduates were further sequestered in the hotel before the ceremony to keep the surprise a secret for attendees. "A lot of work went into these uniforms," said Derrick Chau, a former Red Coat. "It's pretty exciting to be the first official group of Delta people who get to wear this uniform for a Delta event." Keynote speaker Allison Ausband, Senior Vice President — In-Flight Service, also dressed the part in the new uniform, and remarked the historic occasion extended to her personally as the date was close to the 33rd anniversary of her own graduation. "Today is a really special day," Allison said. 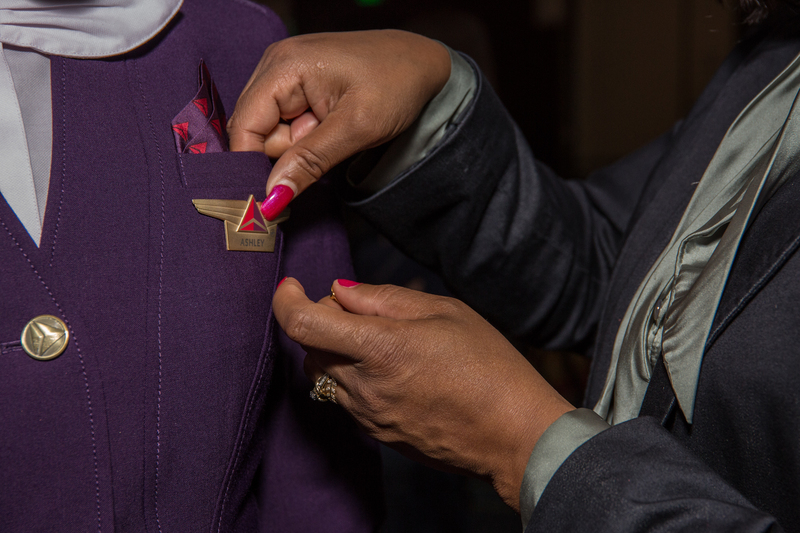 "I wanted to wear the new uniform in honor of all you because you are the very first Delta flight attendants out of 24,000 who have on the new uniform. You look absolutely amazing." Andrew Johnson, Sr., whose son Andrew graduated, says the new uniforms make Delta distinguishable from other airlines. "It's unbelievable," Andrew said. "I was blown away. It looks modern, clean. You can tell they've put a lot of time and effort into making sure the employees look good." Jacque Stewart, at the graduation to support her sister, says the Passport Plum color adds a sophistication to the skies and harkens back to the early years of travel. "They remind me of the flight attendants from the 50's and 60's. They look glamorous," she said. 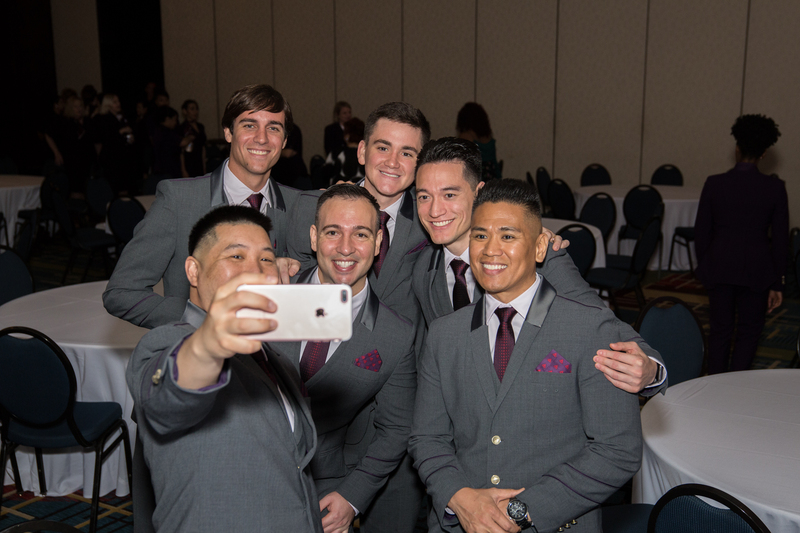 Following the ceremony, graduates reunited with loved ones for a reception, where their wings were finally pinned on the uniform soon to redefine Delta on May 29. Allison concluded her remarks encouraging the graduates to take advantage of the opportunities to create lifetime friendships, meet new cultures and "work a 17 and a half inch wide runway." "Congratulations, enjoy the next couple of days off and I can't wait to see you in that runway."